I’ve seen in numerous videos of the Prime 4 that we can change key on-the-fly. My question is, would it be feasible to implement this via the pads instead of only a sequential up/down ? I think this would open up a lot of possibilities for instant remixing of tracks. HI @PetGor and welcome to the forum! Thank you for this suggestion - I have passed this on to the team. I also would like an option to change key trough buttons instead of screen only. Having the feature to key change of track for the mix of song to song smoothly is very excellent! I am to reminded of the number of boring copycat performings when serato pitch and time add pack was out. Many many people made many songs sound the exact same again and again and again. Argh!!! I would prefer not to have it on the pads, as I would like to be able to play cue points and adjust the pitch of the cue points while playing them. That’s how I utilized Pitch n Time in Serato. 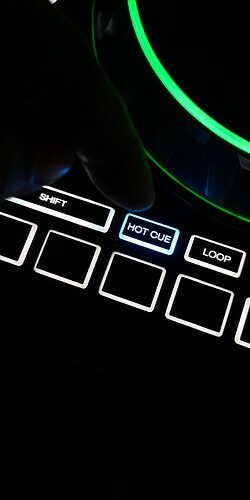 Hit HotCue-button a second time to activate selected Cue Point in Tone Play-mode. There is already a extra feature when you press the Slicer-button twice. My bad, i never use slicer, at all. This would makes sense. I dig it.